Appreciate our new collection of art wooden clocks. 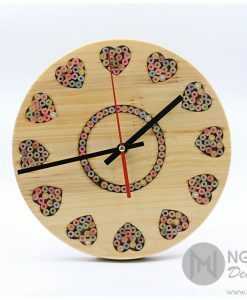 Each rustic wooden clock is made from 300-400 pencils, which are carefully sculpted by the hands of skillful artisans. 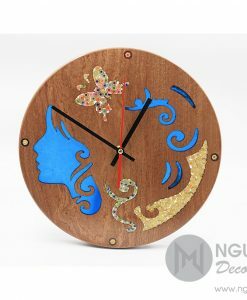 A rustic wooden wall clock will make your living room more unique and beautiful. 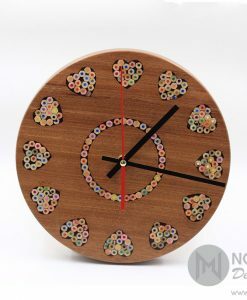 Being decorated with colorful pencils, glued or simply carved laser, each rustic wooden clock has a different beauty and hides an interesting meaning. 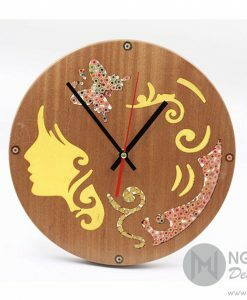 For example, the clocks decorated with a girl image has a special meaning related to the romantic Asian beauty. 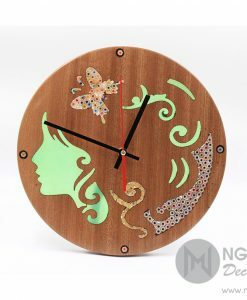 That girl with an elegant face and wavy hair reminds us of a gentle Vietnamese girl in the traditional costume. 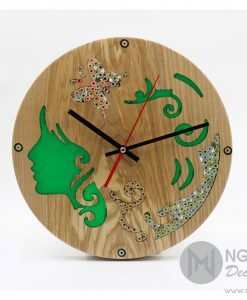 There is a customer seeing that clocks told that it made him think about his first woman with a long hair. 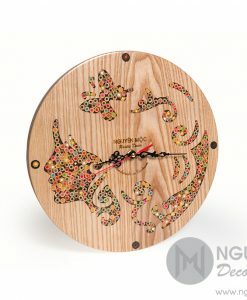 Art wooden clocks of Nguyen Moc not only used to hang on the wall to watch the time but also used as a unique decoration of the house. 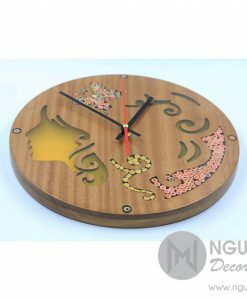 With the eye-catching style, these rustic clocks will become the highlight outstanding from other modern furniture in your house. 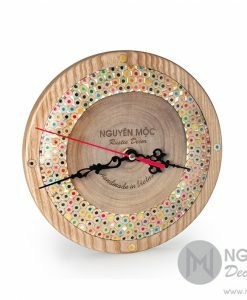 Unlike other wall clocks, Nguyen Moc’s art wooden clocks are specially designed and produced in limited edition, visit Nguyen Moc to take a unique clock artwork for your house or your office. 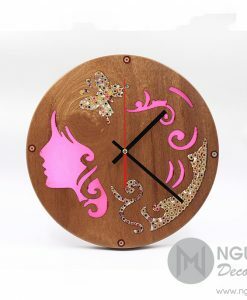 These art wooden clocks are created the base on the idea of Mr. Huong – the founder of Nguyen Moc Décor. 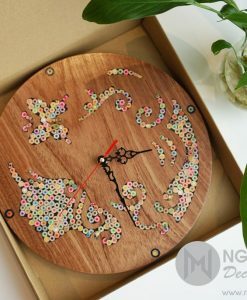 Once being a student of Hanoi University of Industrial Fine Arts, Mr. Huong fell in love with decorative art when he was very young. 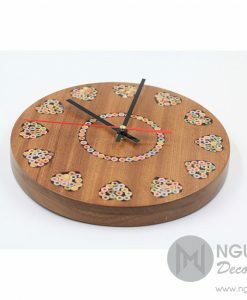 The genesis of a design begins with watercolor, papers, and pencils, which have become his intimate friends for a long time and one day, he came up with the idea creating the art wooden clocks from these simple crayons. 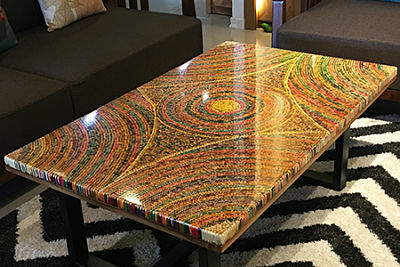 Then, this idea is made come true by the hands of skilled artisans over 10 years of experience. 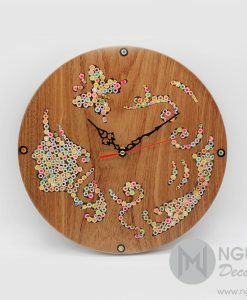 With all the recent developments in technology things like wall clocks don’t really have meaning in a modern life, strictly from a functional point of view. 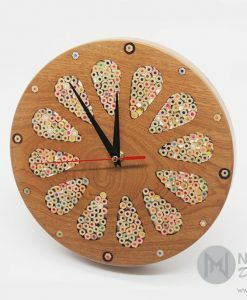 However, they gradually changed the function of a timepiece and it became more of an artwork than an accessory or device that helps us tell time. 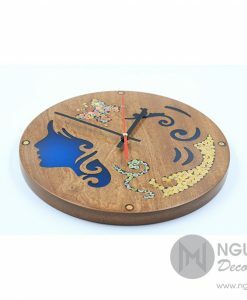 What we are looking for now is a clock that combines classical and modern style in a delicate way, which enhances the value of the owner and the room. 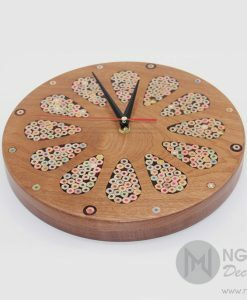 While the design and production teams work in unison on all these elements, traditional materials and elegant details that will bring unique character into your room. 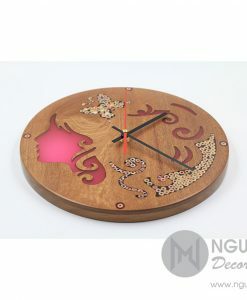 Art wooden clocks of Nguyen Moc not only have the unique appearance, also give customers high qualities and wonderful experiences. No sound, will not affect sleep, especially for the use of the bedroom. 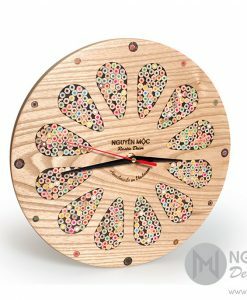 Walking through the Nguyen Moc gallery is truly an experience in and of itself – the wood smell, the warm lighting, and the displays organized throughout the room. 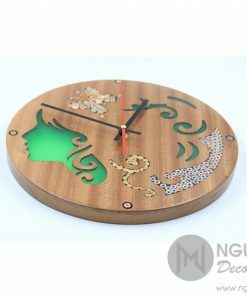 I certainly recommend a visit, especially if you have a penchant for unique wooden timepieces.